The Joint Commission has issued a revised accreditation standard for pain that significantly elevates numerous non-pharmacologic approaches. These include "acupuncture therapy, chiropractic therapy, massage therapy, osteopathy, and relaxation therapy." In addition, the new standard cautions clinicians to consider negative consequences of opioids as well as positive values when making treatment decisions. The decision followed organizing work led by acupuncture researcher Arya Nielsen, PhD, LAc, and Marsha Handell, MLS, each of Mount Sinai Beth Israel. Ben Kligler, MD, MPH, the vice chair for integrative medicine at MSBI then helped organize 20 members of the Consortium of Academic Health Centers for Integrative Medicine to support the petition that the Joint Commission re-open consideration of non-pharmacologic approaches. The new standard will apply to all institutions under the agency's guidance and review: hospitals, ambulatory care facilities, home health and senior homes. A Huffington Post article, Chronicles of Health Creation: Joint Commission Issues New Pain Standards in Response to Integrative Medicine Team, details the remarkable sequence of actions that led to the change. The American Herbal Products Association in its December 2014 newsletter reports that the industry's "big question on the House side" was settled with the selection of Frank Pallone (D-NJ) as minority leader for the influential House Energy and Commerce Committee. Pallone narrowly defeated Rep. Anna Eshoo (D-CA). AHPA notes that "since Pallone is co-chair of the Congressional Dietary Supplement Caucus, the industry had been pulling for him to prevail in this contest." Pallone replaced the panel's current ranking member Henry Waxman (D-CA), who has been a vocal critic of the supplement industry, who will retire after a 40 year career. AHPA also reports with pleasure that Jason Chaffetz (R-UT), who, like Pallone, is co-chair of the Congressional Dietary Supplement Caucus, was named the next chairman of the House Oversight and Government Affairs Committee. Comment: Waxman's retirement marks the end of a long hate affair. Waxman's disposition toward more rather than less public protection and thus regulation of industry of all kinds led him to push for more oversight than the dietary supplement industry has typically wanted. Waxman's activism in this area given that he is the Congressman from Hollywood was always nearly as surprising as are his looks given Hollywood's premium on beauty and perhaps the highest supplement sucking demographic in the U.S. The Oregon Health Authority may be the only such state agency in the nation with an Integrative Medicine Advisory Group. In July 2014, "IMAG" presented to OHA using a slide show available here. 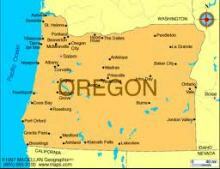 The three priorities of the group, which meets monthly, are here: 1.Credentialing of Integrative Medicine providers (IM Credentialing Information Tool (almost complete); 2.Integrative Medicine and Oregon's achievement of the triple aim - Resource guide identifies IM best practices (still in development); and 3. Exploring opportunities for participation and recognition in the Patient Centered Primary Care Home Program - Communication plan (still in development). Women with uncomplicated pregnancies - about 45 percent of the total - are better off in the hands of midwives than of hospital doctors during birth. This is according to new guidelines by the British National Institute for Health and Care Excellence that "reversed a generation of guidance on childbirth" according to a December 3, 2014 New York Times article entitled "British Regulator Urges Home Births Over Hospitals for Uncomplicated Pregnancies." The agency has "advised healthy women that it was safer to have their babies at home, or in a birth center, than in a hospital." The analysis showed that for low-risk mothers-to-be "giving birth in a traditional maternity ward increased the chances of surgical intervention and therefore infection." Typical costs to the system of hospital births is $2500, of birth center births $2,200 and homebirth $1500. The article concludes that "the findings could affect how hundreds of thousands of British women think about one of the biggest questions facing them." Nine in 10 of the roughly 700,000 babies born every year in England and Wales are presently delivered in a hospital. Those seeking information on cost savings via integrative health and medicine now have one-stop shopping. 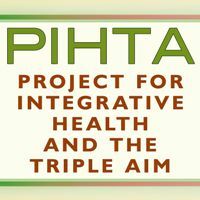 The Project for Integrative Health and the Triple Aim (PIHTA) has developed a website, Reduce Per Capita Cost - a Triple Aim goal - that houses links and abstracts to over 30 studies. These are organized via the stakeholder setting in which the outcomes were gathered (e.g. nsurers, employers, health systems and government agencies). PIHTA, managed by Jennifer Olejownik, PhD, MS, is housed at the Center for Optimal Integration: Creating Health of the Academic Consortium for Complementary and Alternative Medicine (ACCAHC). In a survey of mainly medical doctors and osteopaths conducted at the October conference of the Academy of Integrative Health and Medicine (AIHM), 33% said they are using telemedicine, another third said they planned to, but only 19% said they are being reimbursed. Telemedicine is defined as "care via telephone, video visits, web cam visits -- or other consultations not in person." In addition, 56% of the respondents said they believe that technology is "ahead of medical board guidelines." AIHM board member Nick Jacobs, a former hospital CEO and adviser to hospital programs comments: "We need to open up all the options for healthcare to providers and patients. It drives down costs and improves patient outcomes." Comment: Notably, in a recent posting on trends in medicines, attorney Michel Cohen, MA, JD posits that one will be "the gradual merger of integrative medicine and telehealth." 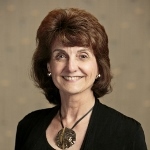 In addition, integrative health policy activist Nancy Gahles, DC, CCH is focusing on this nexus in her blog site, Advocacy for Policy and Legislation for Integrative Healthcare. The Integrator reported recently on the sad closure of Pathways to Wellness, one of the nation's most significant and enduring initiatives to bring acupuncture and other integrative health practices to the underserved. Beth Sommers, LAc, MPH, PhD, a co-founder, reports that there are recent "silver linings" as the "staff have been working like crazy to restore services." For instance, the New England School of Acupuncture took on contracts with 3 hospitals and several home-care agencies. In addition, she says, "a number of local community health centers are adding acupuncture (and will be reimbursed by managed care and other insurers including Medicaid)." Sommers notes that one managed care group "had over 200 members requesting services." In addition, an agreement "is in the works" under which two departments at Boston Medical Center (Integrative Medicine and Infectious Disease) that will "partner to offer acupuncture to clients with HIV/AIDS via a contract from Mass. Department of Public Health. Sommers concludes: "Acupuncture services will be significantly integrated into comprehensive clinics/hospitals where clients routinely get their care," adding: "Sounds like a major win to me. Stay tuned." Comment: This is a fascinating turn of events. One wonders how this outsourcing will shake down from a patient perspective. And what agency will take up the community visibility and advocacy that was always a part of Pathways? Regardless, the community's response attests to the respect Pathways earned. A November 10, 2014 issue of U.S. News and World Reports gave Reiki what one close observer and activist in the field, Pamela Miles, calls the most balanced article ever on Reiki in a mainstream medium. Giving value to the field is researcher Shamani Jain, PhD: "Reiki is one of several therapies based on the biofield, or a type of energy field that ‘regulates everything from our cellular function to our nervous system,' says Shamini Jain, ​assistant professor of psychiatry at the University of California-San Diego. While the biofield itself is generally accepted - it ‘consists of things that we can measure like electromagnetic energy that actually emanates from us,' Jain says - biofield therapies such as reiki and therapeutic touch are more controversial​ because they're based on the idea of a ‘subtle' aspect of the biofield,​ which is harder to measure." Jain is then quoted again: "It's difficult for our Western science to wrap its mind around" because, as the writer paraphrases, "it's not about popping pills, injecting needles or otherwise altering the body's chemical composition, says Jain, a clinical psychologist who studies integrative medicine." Comment: For Miles, an indefatigable activist for "Reiki in Medicine," this good press is a particularly long time coming. One might guess that the Wikipedia site for Reiki is as unfriendly as that for homeopathic medicine, as detailed by Dana Ullman,MPH,CCH, elsewhere in this Round-up. If so, you are right. The Reiki page begins with boilerplate antagonism: "Reiki is a spiritual practice, now considered to be a form of pseudoscience ..."
This typically monthly Integrator feature is a quick capture of highlights from the multitude of links that flow in daily via Google Alerts for "integrative medicine," "complementary and alternative medicine" and "alternative medicine." Recently the field's cup seems to be running over. Tremendous level of news and developments. This is in part due to my use of a broader inclusion net for what I am selecting. At the same time, the activity level suggests that those who believe the movement is headed toward a "tipping point" may have something. Here are 15 selections related to hospitals and medical organizations and integrative medicine, 10 from alternative and integrative medicine in community non-system practices and media, and 21 developments from around the world for November 2014. The Integrator recently contacted the Institute for Functional Medicine for an update on a collaboration between the Institute for Functional Medicine and the Tallahassee Memorial Family Medicine Residency Program. Uniquely, the project, designed and implemented by Cathy Snapp, PhD and Ruth DeBusk, PhD, RD, was funded first by the U.S. Health Resources Services Administration (HRSA) and now by the State of Florida. The collaborative initiative seeks to integrate the principles of functional nutrition "with mind/body/spirit approaches to prevention and self-care as the basis of treatment" in both patient care and education. An early clinical focus was on treatment of repeat emergency room users.The educational component trained medical doctors "in chronic disease prevention using all the basic areas of the functional medicine matrix" and a component on "physician well-being." IFM provided faculty, materials, and consultation. The team has published some outcomes here showing moderate betterment in a population with diabetes. As part of the charge from the state of Florida as a funding agency, Snapp and DeBusk "have already provided training at a number of other academic medical centers in Florida and beyond, and have adapted the program to make it suitable for export to other kinds of organizations as well." According to the report to the Integrator from IFM, DeBusk considers that "the umbrella for our longer-term focus is the MBTLC initiative (Mindfulness-based Therapeutic Lifestyle Change)." Such programs are presently in place and include patient wellness, employee wellness and physician wellness with the former two running 12 weeks and the latter 6 weeks. The team is currently working on a program for medical students. A previous report on the collaboration is here. A bicoastal relationship was announced between two of the most dynamic multidisciplinary academic institutions for integrative health and medicine. On November10, 2014, Maryland University of Integrative Health (MUIH) reported a partnership with Portland, Oregon-based National College of Natural Medicine (NCNM). The release on the relationship, which featured MUIH president Frank Vitale and NCNM president David Schleich, PhD, notes that the schools are "kindred spirits" in philosophy. Areas of prospective collaboration are broad and include faculty and curriculum development, research, and distance learning. Comment: This is quite a combo. NCNM is the "mother ship" for the modern naturopathic medical profession. From the late 1950s until 1978 it was the only legitimate ND program in North America. Meantime, the taproot of MUIH is one of the first acupuncture programs in the United States, the policy active Tai Sophia Institute. Not directly mentioned in the release is an area of likely collaboration: a naturopathic medical program for MUIH. MUIH sent a team to the August 2014 meeting of the American Association of Naturopathic Physicians to meet with that profession's academic leaders. Notably, the same MUIH publication that noted the partnership also rolled out a plan for a massive MUIH campus expansion. Bastyr University has announced that starting in the fall of 2015 it will offer the first Master of Public Health degree program in a naturopathic-based university of natural medicine. The program announcement from Bastyr linked this offering to two additional programs in public health that are presented as "preparing students to create systemic change." The two others are a Master of Arts in Maternal-Child Health and, at Bastyr's San Diego campus, a Master of Science in Nutrition for Wellness. The three new programs are part of the institution's "growing focus on serving the health of communities." In a November18, 2014 newsletter, the NIH National Center for Complementary and Alternative Medicine (NCCAM) announced that Stanford researchers funded in part by NCCAM discovered that yeast, genetically modified, can "brew opioids and other opioid drugs." The researchers argue that "turning microbes into mini-factories" may remove dependencies on uncertain farming and political cycles. Comment: A person wise to NIH predilections might assume that the funding of research on the "modalities, systems and disciplines" associated with complementary and alternative therapies would come to this; still, I mean really, is drug development the highest and best use for those precious few NCCAM dollars? That being said, since self-activation is one pathway for a person in pain to begin to find means to reduce dependence on painkillers, this project may have an unexpected positive outcome as patients with pain rise up to demand "No GMO Opioids!" A major obstacle to coherent advancement of the massage therapy field was overcome recently in an agreement between the Federation of State Massage Therapy Boards and the National Certification Board for Therapeutic Massage and Bodywork (NCBTMB). Under the agreement, the NCBTMB "will no longer provide examinations for licensure purposes and will now focus exclusively on delivering quality certification programs." Leena Guptha, DO, MBA, BCTMB, the chair of the NCBTMB states: "This landmark demonstration of collaboration between these two premier organizations exemplifies ambassadorship by leaders shaping the future of the profession. I am very proud to lead the NCBTMB through this transformation and evolution." Meantime, Karen Armstrong, FSMTB vice president, adds: "This represents a monumental shift for the profession in a positive direction and benefits all therapists. The regulatory community will also benefit from this simplification and standardization of the licensing process." Guptha explains the move in this Massage Today article. Comment: The move is indeed another good one toward unity in a field that has suffered from serious internal dysfunction for years. The rapprochement follows, for instance, an announcement that virtually all of leading national organizations associated with the field will join the Commission on Massage Therapy Accreditation and the Alliance for Massage Therapy Educators in a joint conference in July 2015. Credit Guptha's leadership for moving the NCBTMB in the right direction: tough for any organization to limit its principle revenue stream. Now to focus on the places where specialty massage certification may be useful to all concerned. "We can no longer make the assertion that we are being discriminated against," said American Chiropractic Association president Anthony Hamm, DC in an announcement to ACA members of the introduction of Protecting the Integrity of Medicare Act (PIMA), H.R. 5780. The bill urges that Secretary of Health and Human Services to develop an education program to help improve documentation in chiropractic Medicare claims. Hamm underscores his point: "While this legislation may appear to be an indictment against the chiropractic profession, comparative data from 2011 shows [chiropractic] at the top of the error rate list at 44.1 percent." Thus, Hamm argues, the additional concern is warranted. The bill stipulates that the program would be created in consultation with the American Chiropractic Association (ACA) and representatives of Medicare administrative contractors. Comment: Hamm, who happens to be the most influential of any integrative health and medicine practitioner on the American Medical Association's powerful coding committees, sees a very positive silver lining if this program is enacted: "It will also potentially offer us the opportunity to interact with CMS and the individual Medicare Administrative Contractors to provide a better understanding of our unique model of patient care." On November 26, 2014, the 36-year-old American Holistic Medical Association (AHMA) issued its final newsletter. The e-newsletter begins with an AHMA banner at the top and ends with a logo for the Academy of Integrative Health and Medicine (AIHM) at the bottom: all AHMA members are now charter members of the new "Academy" as it is increasingly known. In his final words as AHMA executive director, Steve Cadwell - now the AIHM co-executive director - honors a critical consideration of the AHMA during the year-long transition: "You insisted that AHMA keep its DNA, maintain its treasured holistic-medicine principles and hold the Academy to its promise to center its work on the healing power of love." AHMA modeled interprofessionalism in recent years for an association, with members who were MDs, DOs, NDs, DCs, LAcs, RNs, PAs, nutritionists and others. Comment: Among the very first, organized signs in the emergence of a new health and medicine in the United States was the founding in 1978 of the AHMA. Mainly the organization has served as a sanctuary, providing a periodical and a conference, while generally eschewing politics in favor of the heal thyself work in nurturing a new community. Meantime, AHMA has served as a pioneering zone for AIHM's own interprofessionalism. As a close observer of this migration (I serve on AIHM's board), I am particularly impressed with how leading with the heart - a practice scorned and derided by hardened professionals of all stripes, inside and outside of medicine - has infused the emerging AIHM with both a deep resonance with inclusion and the skillsets to populate it. Homeopathy, author and promoter Dana Ullman, MPH, CCH, sent a note to the Integrator that simply read: "I have presented a very strong case for extreme bias at Wikipedia and I'm sure that many CAM therapies have similar problems." The article, with over 2300 "likes" as of December 8, 2014, is Dysfunction at Wikipedia on Homeopathic Medicine. Ullman frames his take-down as on open letter to Jimmy Wales following a chance encounter Ullman had with the Wikipedia co-founder. Ullman focuses on presenting evidence that the charges in Wikipedia's homeopathy page of "pseudoscience" and "implausibility" are incorrect, citing multiple meta-analyses that conclude otherwise. He suggests that in a case like this where antagonists are "squatting on a subject," Wikipedia should consider simply allowing two stories. Ullman's letter is co-signed by an international group of scientists. Comment: The medicine may be in infinitesimal doses but the controversy is huge. In fact, on Wikipedia, as Ullman shares, "homeopathic medicine" ranks #2 behind "Jesus Christ" as most controversial. Religion figures heavily in each. I particularly like the contortions of this logic relative to the sub-controversy of whether water - such as that in which homeopathic remedies are succussed - can have memory. Ullman quotes former Nobel Prize winner Brian Josephson, PhD: "The idea that water can have a memory can be readily refuted by any one of a number of easily understood, invalid arguments." A new retrospective analysis of data from the National Ambulatory Medical Care Survey of the National Center for Health Statistics has found that from 1993 through 2010 reported visit duration increased from 17.9 minutes to 20.3 minutes for primary care visits and from 19.0 minutes to 21.0 minutes for specialized visits. The increase was "consistent across different age ranges, for different numbers of diagnoses, and for patients who did and did not have a procedure performed during the visit." Co-author Stephen Feldman, MD, PhD is integrative medicine faculty at Wake Forest. The 9th Evidence-based Complementary & Alternative Cancer Therapies conference will be held Feb 26-28, 2015 in West Palm Beach. The conference is promoted through the Annie Appleseed Project run by cancer survivor Ann Fonfa. The project has distinguished itself from other integrative cancer conferences by attendance of both patients and practitioners. The project is in its 15th year. This conference includes "speakers from 3 continents and a patient panel where people present patient-centered evidence." Comment: Fonfa is a pioneer in promoting integrative oncology, especially from a patient-centered perspective. This labor of love is a rare event in a nominally "patient-centered" era that seeks to bring patients, practitioners and vendors into one room.